Save over 30% on Apple's popular smartwatch. Want an Apple Watch? If you’re willing to pick up the Series 1 rather than the latest models, Best Buy is selling the 38mm Series 1 Apple Watch for just $179. That’s a full $70 off of the $279 it normally sells for. You can also save 70 bucks on the 42mm Series 1 Apple Watch, which brings the price down to an agreeable $209. Both models are available in either space gray or silver. It’s splash-resistant, the battery lasts for around 18 hours, it’s got an OLED display, and it’s packed with features aimed at health such as a heart rate sensor, an accelerometer, and a gyroscope. The Series 1 also comes with Apple’s Sport Band, and as someone who wears one of those on his wrist every day, I can tell you that it’s surprising how often I forget the band is even there. Remember that it’s water-resistant, not waterproof as the later models. That said, it can still take a beating. A video we shared way back in 2015 shows the device getting dunked in swimming pools and deliberately scratched with sandpaper and keys, and by and large, it came out fine. And the users over at Best Buy certainly love it, considering that it retains a 4.8 rating (out of 5), even after amassing 5,925 reviews. Keep in mind, though, that the Apple Watch Series 3 marked a significant improvement over the Series 1 and the earlier Apple Watch, and it differs from earlier models by being waterproof, a bit brighter, much faster, having GPS, and offering a cellular connection so you don’t need to keep it close to your iPhone for it to work properly. The catch? The Apple Watch Series 3 starts at $329 for 38mm models and $359 for 42mm models. No worries. 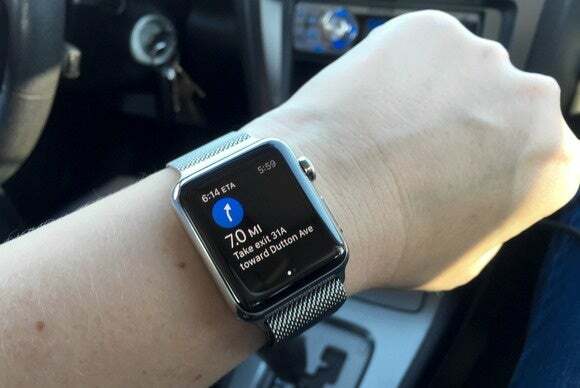 The Series 1 is still fantastic smartwatch, and at Best Buy’s current prices, it serves as a great introduction to the line if you’re still on the fence. Hop on it quickly, though. As with other great Best Buy deals we’ve seen this week, there’s a chance it’ll vanish soon.